Barbara Gowdy is an award winning Canadian author and an appointed member of the Order of Canada. Gowdy was born in Windsor, Ontario on June 25, 1950. The third of four children, Gowdy’s family relocated to Don Mills, a suburb outside of Toronto, in 1954. Gowdy attended York University and the Royal Conservatory of Music, and worked as an editor after graduation. She married in 1972, but would separate from her husband by the late 1980’s. Gowdy published her first novel, Through the Green Valley, in 1988. Her next novel was 1989’s Falling Angels, which was adapted into a film of the same name in 2002. Her other books include the short story collection We So Seldom Look on Love (1992), and the novels Mister Sandman (1995), The White Bone (1999), The Romantic (2003), and Helpless (2007). Gowdy has been nominated for a number of prestigious literary awards, including the Giller Prize, the Governor General’s Award, the Roger Writers’ Trust Fiction Prize, and the Man Booker Prize. 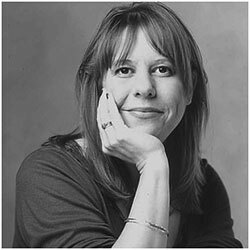 Her novel Helpless won the Trillium Book Award in 2007. Gowdy was appointed as a member of the Order of Canada on October 5, 2006. She also won the John Simon Guffenheim Memorial Foundation Fellowship for her work in 2012. Gowdy resides in Toronto and has been the long-time partner of the prize-winning poet Christopher Dewdney. “Barbara Gowdy.”The Canadian Encyclopedia. Web. Accessed Feb. 13, 2018. Barbaragowdy.com. Web. Accessed Feb. 13, 2018.